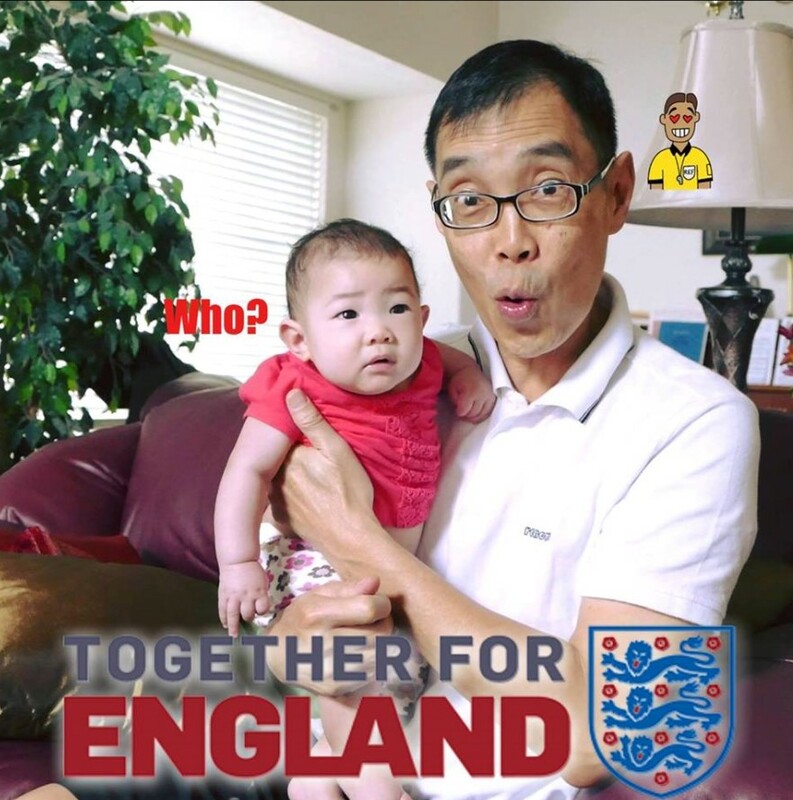 The significance of the time I woke up early on Sunday morning on Father's Day in Malaysia? The significance isn't so much that the numbers all add up to 7 but the spirituality behind the stories I share on this day. 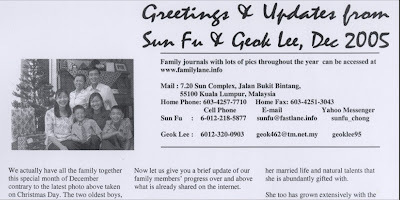 The stories are not mine but from my oldest child in the family and daughter Fei, whom I first emulated to begin blogging, following her latest teen interest. 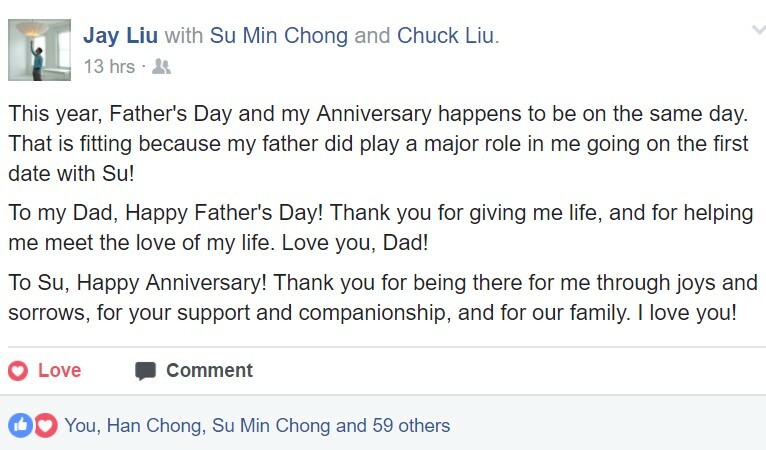 Why have her stories on this Father's day post one might ask? The answer may soon be made apparent when I begin to share more of my thoughts in this same blog post based on the links of my Body Mind Spirit experience explained here. Today I have further related the Body Mind Spirit domains to the 3 important domains of Interpersonal, Cognitive and Intrapersonal for the 21st century that have been named by the US Academy of Sciences Engineering Medicine. 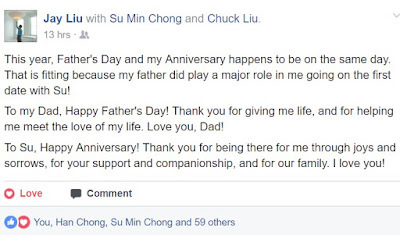 It was then that I realized that I had left out noting this Wedding Anniversary as also one of the coincidental events occurring on this year's Father's Day of June 18. The wedding activities of Su & Jay in June 18, 2011 where all our family members made it there is still vivid in my mind and treasured in this journal post. I received another email from your Mission President assuring everyone that you and all missionaries in London are safe due to a bombing of a mosque there. On checking the news, it occurred near a mosque at Finsbury Park, I am glad you are safe and other missionaries too but sad for those who died. It is indeed a tumultuous world we are living in and reminds me of Elder Russell M. Nelson 's talk entitled "Men's Hearts Shall Fail Them" during troubled times prophesied in the world towards the End. Little did I know what I did then quickly while at the Liu's home to create the photo above would be relevant today with the terrorist activities England is having! You see, the new fb photo profile of mine was symbolic that I have reached a level in life where I have little fear or embarrassment for my weaknesses or whatever negative things about me that people may want to gossip about. As the down-to-earth person from young, my CSF initials in my journal writings explained that I began to understand myself to be one who seeks to Connect, Synergize and Futurize with others." End of the excerpt from the week's letter to Elder Chong, cc. to family. (This Head, Heart & Hand metaphor was learned recently from my TalkLane video interview with an old friend seen here.) Of course, I would give due credit to my God the Savior for his Spirit that filled my Heart and Mind to help me do the noteworthy things in my lifetime. you. Love hearing about it every week! Take care! Being active in the beginning to blog in familylane, fastlane and spiritlane, later qualifying to be in Social Media by joining facebook, I am surprised some senior extended family members who are out of touch with what social media really is about, but could access some of my publications, questioned me if I was boasting of how successful or rich I was!!! I guess my toilet seat profile picture should paint a thousand words to help them realize the 'systematic errors' in their thinking. 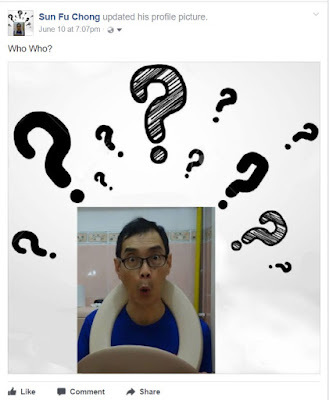 Any further information on the Dec 8, 2018 event will be updated on this same blog post so remember to click this link (https://goo.gl/FK5bFA) to access this page and you can copy the link to pass to others who like to register and confirm for this fun and heartwarming "ROARING 60s" reunion event set to "OPEN UP YOUR MIND"
The event will be at the GTower Hotel in the Club floor or Level 28. Full Event Dinner Guests arrive at 6.30pm Saturday, Dec 8th, 2018 while After Dinner Guests arrive at 9pm. A guest list will be at the reception for all participants to register. A buffet dinner will commence a little after 7pm where at 9.30pm, a cake cutting ceremony will kick off continued mingle, fun activities with dance music & Karaoke till 1am or later. Free flow of soft drinks are provided all night. Alcoholic drinks can be purchased from the bar. Special Mystery Guest: Introduced at the start of the cake cutting ceremony to surprise all present who will "OPEN UP YOUR MIND" and even may change your life after 60 forever! Location: The GTower Hotel is located at 199 Jln Tun Razak KL, just beside the Tabung Haji building or near the junction with Jln Ampang. The event will be at the Club level or Level 28, a change from the RoofTop previously planned which is closed for renovation. Click here for map location. Dress Code: Roaring 60s outfit with prizes for best-dressed individuals judged by the teachers. Dinner: Western-themed Buffet Menu with Charcuteries (cold cuts) a variety of seasonal fresh garden salad, cream of mushrooms soup and an assortment of bread rolls with butter. Mains include Roasted chicken with cashew nuts and oyster sauce, red snapper fillets with spicy herbed tomato sauce, roasted leg of lamb with sage and tossed garlic, Asian-styled spicy fried noodles with shrimps, dauphinoise potatoes, mixed vegetables in rosemary butter, steamed fragrant rice. Dessert includes a fine assortment of cakes and pastries, cream caramel, coconut custard, raspberry yogurt mousse in shot glasses, fruit tarts, seasonal tropical fruits platter. Coffee or tea and soft drinks with 2 types of chilled fruit juices. Music: Best of 60s music and some 70's music for after dinner events which includes mingling activities and dance. RM150 for those registered for the full dinner which includes after dinner event. Email to admin@fastlane.info to give your name or list of names you're paying for, amount, date and time of banking in and a returned confirmation email will be sent back to you or "pd" will be marked on the list of participants found in the WhatsApp group list. The former is only for those who did not use digital interbank transfer where information of who is paying for what is in the banking system already. You can even email a screenshot of your bank in slip if you banked in manually or if paying for a list of names to include those names in an email or WhatsApp message. This will help to identify payments not via internet banking or payment for a group of names. If no confirmation is acknowledged through the WhatsApp latest list, on this landing page list, reply email or any other means, you can call 03 2110 0639 for assistance. Use the same email above or relevant WhatsApp groups to submit in advance Youtube karaoke songs you desire to sing. Last day for registration and confirmation by banking in cash or online payment for the after dinner events is NOON Sat 8 Dec 2018. confirmed by payment of RM50 per person which can be grouped together as stipulated in the above paragraph. A full names list of all those paid and confirmed for 7pm and 9pm event will be available at the door on the evening of the event. (Strictly No Entry for those whose names are not in the list at any time during the event to be fair to everyone else who had to pay in advance as we have to pay in advance before the function as required by the hotel.) The list below will be updated daily until 7 Dec 2018. "ROARING 60s" reunion event set to "OPEN UP YOUR MIND" Special Mystery Guest: Introduced at the start of the cake cutting ceremony, 9.30pm to surprise all present who will "OPEN UP YOUR MIND" and even may change your life after 60 forever! Attendance List for After Dinner Events - 9pm - 1am. Atendance List for full dinner event. 15) Thor Kong Hock pd. More Teachers may be added. Some old pics at school and reunion gatherings years after can be viewed here.